I originally picked up Midnight Haze, Phantom Angel, and the popular Royal Cloak from Revlon's Fall Masquerade Collection (here), but something made me pick up Devil's Candy also, a week or so later. 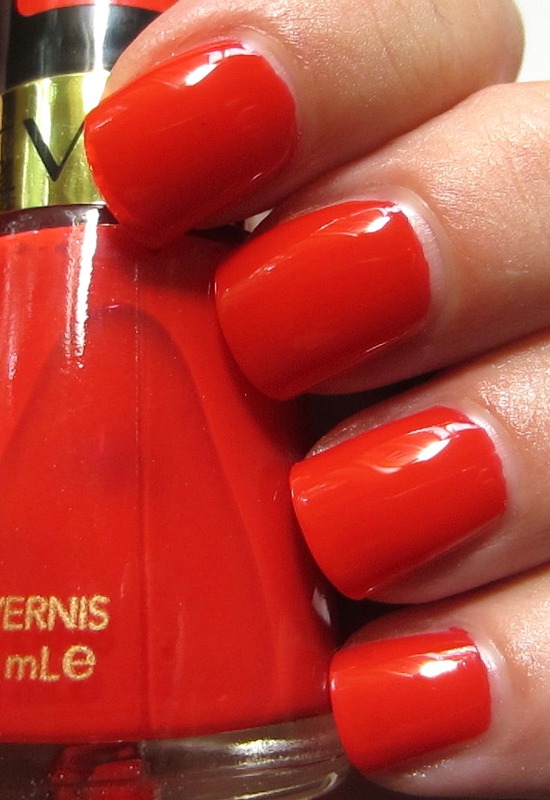 Color-wise, this is just a red creme, but it's a jelly finish with an excellent formula. I used two coats, and it applied smooth as butter. 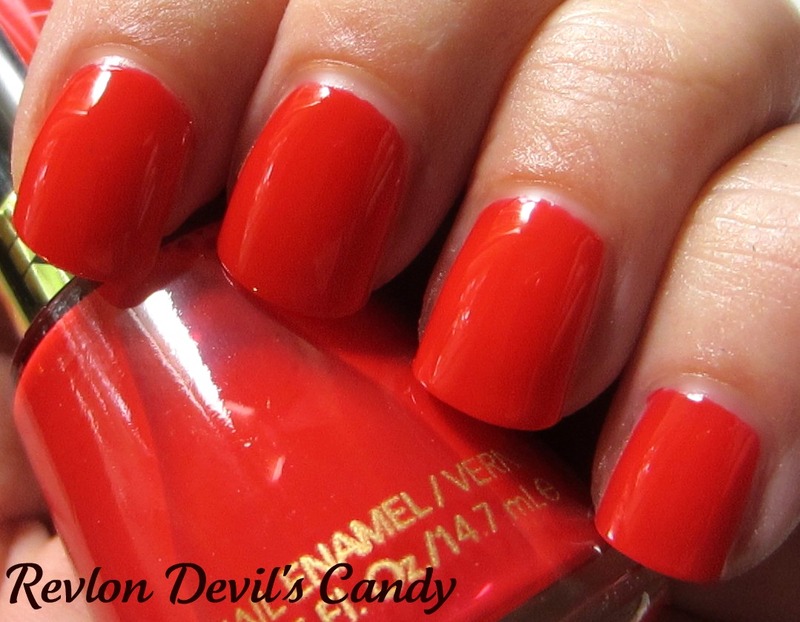 Cute name, jelly finish, perfect formula. I just picked up Royal Cloak at the drugstore Saturday. Missed this one. Looks fantastic as reds always do.